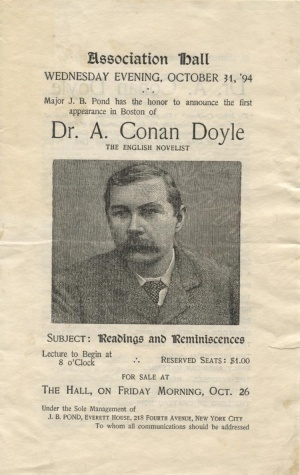 Readings and Reminiscences is a lecture given by Arthur Conan Doyle on 31 october 1894 at the Association Hall, Boston (USA). The lecture tour was managed by Major J. B. Pond. This page was last edited on 18 February 2018, at 15:08.